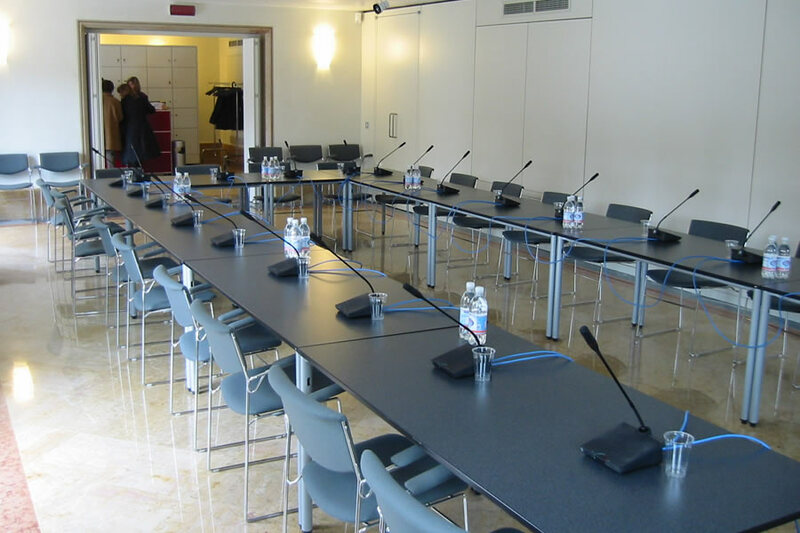 The Sala del Giardino, next to the Sala del Portego and communicating with it, faces directly onto Palazzo Franchetti’s garden. 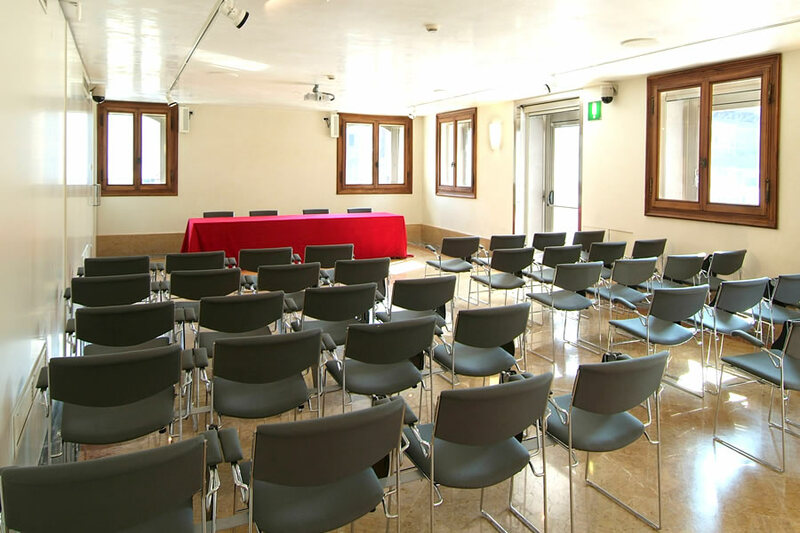 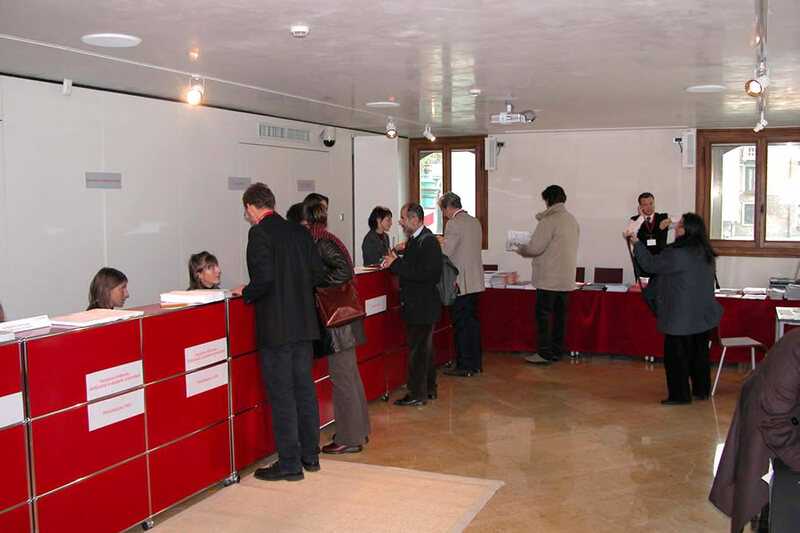 Particularly well lit, it can be used as a support area for the Sala del Portego, with which it is connected by video-conference facilities, and for independent meetings or as a room for lessons or seminars. 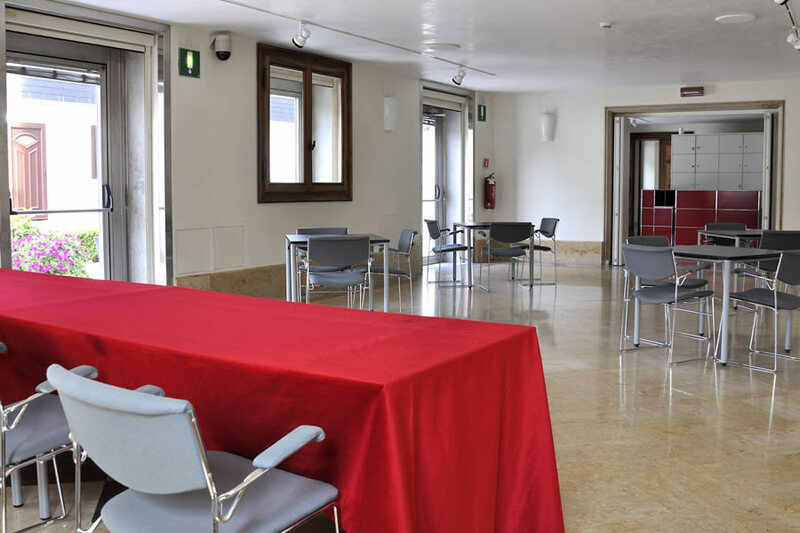 It is often used to provide catering services for conferences held in the Sale del Portego because it also has direct access to the garden.